We all have the innate ability to access altered states of consciousness. In8 is an effortless and beautiful way to experience this. 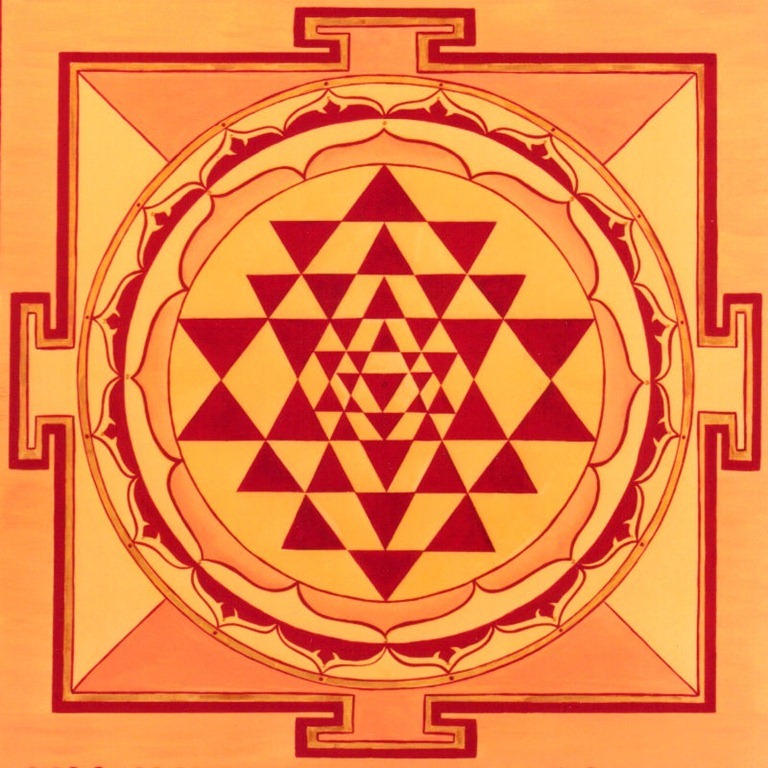 The Sri Yantra or Sacred Instrument. Hindu, 4000 BC - Pictorial representation of the sound "aum"
Travelling in the Himalayas in 1993 I found the mandala that changed everything. At a sunny but spartan ashram in Rishikesh, in the corner of the yoga room hung a curious geometric marvel.. After yoga, I would slip back into the empty room to hypnotize myself on this little scene of perfection. I didn't know what it was called then – or anything about its astounding significance. The centre just opened something inside of me I didn't know was closed. The triangles led me into myself and out of myself at the same time. The whole was a portal to a wordless secret seeming to connect me with all of everything. I was fixed gazing into the infinity of the dot in the centre. The exquisite placing in the slanted triangle. The depth. Some of the interlinked triangles were pointing downward and some upwards. All slightly different, with their own personalities, lightly coloured, a kind of warm brown. A sensual lotus leaf border and 4 directions of symmetry holding it all in. After staring into the centre for a while I discovered the lines would pulsate and jumble around and then sometimes there would be a rushing and the whole picture would appear to flash black and white, positive and negative... It made me laugh and feel really high, really at home, liberated, like I had remembered something massive that I had always known. I could see thousands of years of the wise making this image. I had fallen in love with mandalas. Since then I have been studying mandalas and experienced as many as I can, but still often find myself entranced by this, the original, “mother of all mandalas” the Sri Yantra. The Mandala is a symmetrical image used to focus concentration and promote meditation. The word comes from the Sanskrit for circle, also known as "a container of essence". It can be sacred for both creator and viewer. Mandalas have been used for centuries as tools for enlightenment by the Hindus, Buddhists, Native Americans, Mesoamericans for calendars, Celts in crosses, the Egyptians, Greeks and possibly all ancient cultures. They might be made by drawing, painting, string, sculpture, architecture, embroidery or dance. Nature abounds with mandalas: DNA molecules, coral, snails, flowers and trees are all growing by The Golden Ratio. Computer generation has encouraged the development of the most sophisticated kaleidoscopes and intricate models of subatomics. It is well known that colour can bring forth specific states of consciousness. Light is a universal language and would life be reduced without the dazzling displays of light in architecture, theatre or musical performance? Sacred sounds have been used for millenia to induce a spontaneous meditative space and the quieting of mental chatter. Gongs and tibetan bowls encourage spontaneous healing, expanded awareness and higher consciousness. I have a background in entertainment lighting and was always fascinated by the power of strobes and that I would feel somehow released and sometimes euphoric when operating them in time with dance music. I came to realize that this is to do with the phenomenon of brainwaves "following" the flashing. For many years scientists had wondered what yogis did when they sat for hours with their eyes closed. They finally got an answer when in 1929; Dr. Hans Berger discovered an instrument called the electroencephalograph. This is an instrument that can be used to measure the frequency of brain waves. Our brain functions electrochemically. Using the electroencephalograph, scientists found that depending on the activity of the brain the flow of electricity in it varies. At the normal conscious state the frequency of brain wave remains between 14 and 26.9 cycles per second. This is called the Beta Level. In this level our consciousness is limited by space and time. When we feel calm and peaceful our brain wave frequency drops to the Alpha Level, or between 8 and 13.9 cycles per second. 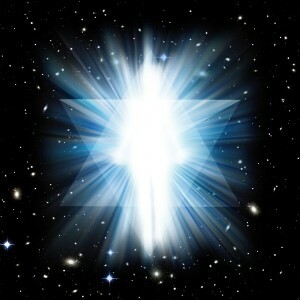 In this state our consciousness is focused inward, and it can transcend space and time. It is the alpha state that In8 is most concerned with exploring. 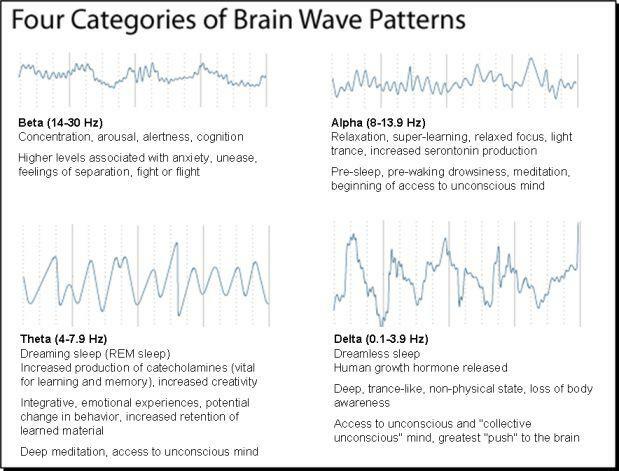 During light sleep our brain wave frequency is at the Theta Level, i.e between 4 and 7.9 cycles per second. The electrical activity in our brain continues even when we are in deep sleep. This is called the Delta Level, in which the brain frequency is between .5 and 3.9 cycles per second. When we are restless and agitated the frequency of our brain wave rises to between 27 and 84 cycles per second. This is called the Gamma Level. Scientists have found that the brain functions at the optimum level when the brain wave frequency is at the Alpha Level or lower. All of us have experienced this level. Remember how sometimes when you are calm and peaceful, everything seems simple and easy, everything seems to flow? This is the Alpha Level. And as the frequency of the brainwave rises, the efficiency of the brain drops. Remember all the stupid things you have done in a feat of rage? Most of us cannot control the frequency of our brain waves. But when the electroencephalograph was discovered, scientists found that meditators can bring the frequency of brain wave down at will. Expert meditators can reach the alpha or theta level but still remain alert. As their consciousness expands they can utilize the immense storehouse of power in their mind and brain for the benefit of themselves and others. Brainwave Entrainment refers to the brain's electrical response to rhythmic sensory stimulation, such as pulses of sound or light. When the brain is given a stimulus, through the ears, eyes or other senses, it emits an electrical charge in response, called a Cortical Evoked Response (shown below). These electrical responses travel throughout the brain to become what you "see and hear." This activity can be measured using sensitive electrodes attached to the scalp. In8 Soundtracks are intended to enable healing and produce exaltation, playing ethereal music interwoven with Isochronic Tones. Using separate pulses of a single tone to recreate a particular frequency, and encourage unity entrainment at any frequency. Although binaural beats are currently more widely known, it can be seen that isochronic tones have a significantly greater effect. Variable strobe rates have a long history in healing, hypnosis and meditation. In 200 AD the mathematician and astronomer Ptolemy recorded feeling euphoric while staring at a spinning spoked wheel, flickering in the sunlight. With this discovery, perhaps we could say brainwave entrainment was born. Dr. Steven Vasquez has developed an effective therapy known as Brief Strobic Photostimulation which is available in many countries. The strobing patterns of A Different Light are programmable to the smallest hertz increments and when utilized as brainwave entrainment frequencies the results are profound. Combining light and sound frequencies, accessing exact points in alpha or theta is very efficient. 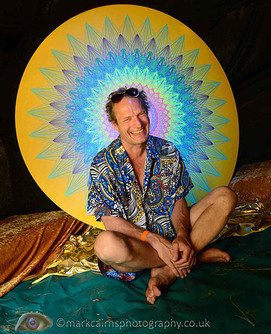 Experiencing a mandala that resonates with you sparks a recognition of the infinite soul. Even if you don't realise that is what is happening. Edgar Cayce says "The mind of the soul is the subconscious". By combining the processes above correctly, theoretically we have the means to access almost any state of conciousness. Carl Jung believed that mandalas are snapshots of the subconscious. It has been proved that meditation allows access to the subconscious. This allows you to receive insights and flashes of understanding you might not receive otherwise. on Sunday 10th May 2015 was brilliant at Agroturismo Atzaro! Thank you all for your enthusiastic welcome to the island! !